With the addition of a new seven-seat model, Skoda has expanded its 4x4 offering. Geoff Ashcroft put the firm’s Kodiaq to the test. Skoda’s Kodiaq is the Czech maker’s first seven-seat 4x4. Following on from its popular Yeti, Skoda’s Kodiaq is a seven seat 4x4 which may be about to ruffle a few SUV feathers. You see this one is useful. And practical. 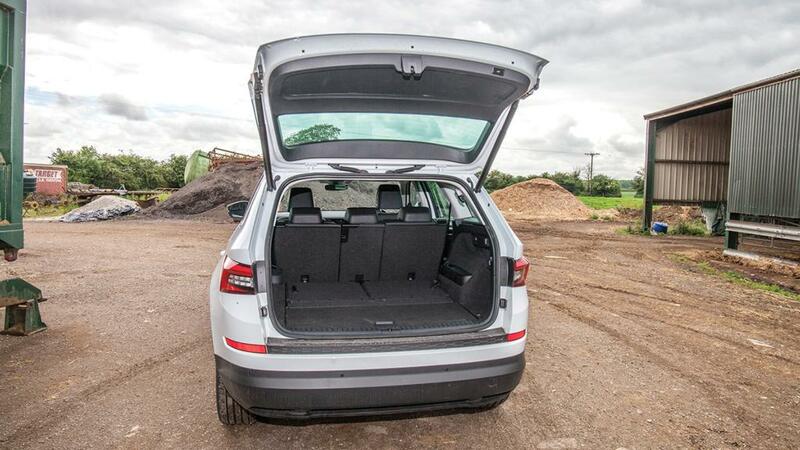 As Skoda’s largest SUV it combines value for money, simple functionality and space. And with seven seats, it puts Skoda into new territory. The third row of seats fold neatly into the load floor, and are easily brought into play. Useful underfloor storage lets you stash the parcel shelf out of the way, and with all seats dropped, the Kodiaq could make a really good van. While there may be opportunities for a Kodiaq Commercial, its biggest downfall would be a mere two-tonne towing capacity. Clever packaging means the Kodiaq is only 40mm longer than an Octavia. It is strong on interior space without looking overly large or awkward. And it is packed with clever features, such as door edge protection strips that deploy as each door is opened, and quickly disappear when shut. Just the thing for the clumsy parker. We spent a week in the 2-litre 190hp TDi 4x4, and came out of the other side feeling impressed with the whole package. Our test model could have done with a panoramic sunroof, but the interior never felt dark, gloomy and oppressive. Seven-seat option makes the most of interior space. Independent rear suspension adds to the ride comfort, and the off-road mode lets you choose different stability and traction control systems to suit non-tarmac surfaces. Unlike others of this size, the Kodiaq doesn’t sway through corners. It remains unusually taught and very well controlled. Seven-speed DSG automatic transmission combines well to make the most of the oil burner’s torque range, and progress is swift enough. It can pick its feet up as though it was a much lighter car. The diesel engine does make itself heard though, especially when you push above 3,500rpm. A good seating position with plenty of adjustment, and generous headroom, help to make the Skoda feel like a proper 4x4. 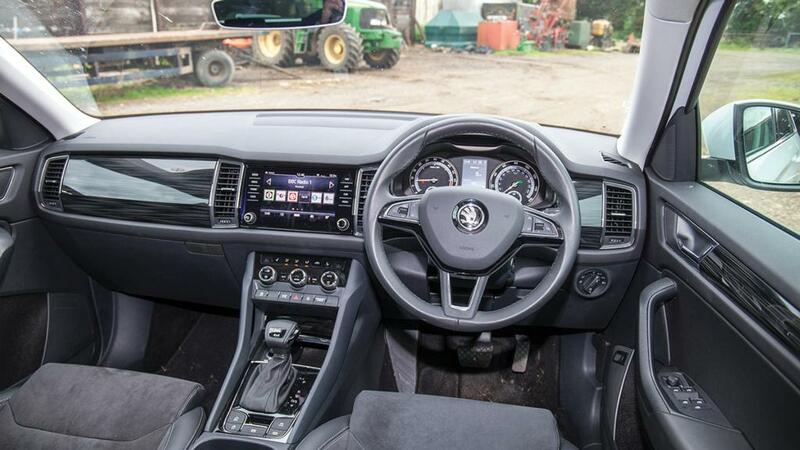 Our test model was equipped with Skoda’s area view monitor, which displays a bird’s eye view of the car and, thanks to a number of cameras, its surroundings on the Columbus touchscreen, simplifying parking and manoeuvring. Nicely laid-out controls and soft-touch materials – what’s not to like? Interior trim is nicely finished in soft-touch materials, with hard scratchy plastics kept well out of the way. 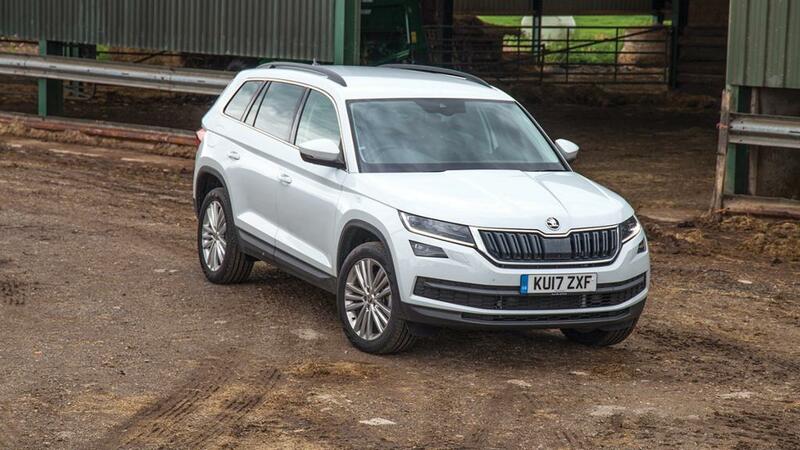 It seems Skoda is trying to elevate the Kodiaq’s status more towards the premium end of the sector, and it seems to be going in the right direction. This is a market that offers a huge amount of choice if you’ve got a large budget. But if you wanted space at a reasonable price, then your options have until now been severely limited to the secondhand market. Or something from South Korea. And this is where the Kodiaq is treading a new path. The range starts at £21,565, with seven seaters costing from £24,000. Take care with spec and options – it is easy to rush towards £40k, and the Kodiaq could soon lose its value proposition.